Valued for its restorative and calming properties, basil is commonly used to sooth sore muscles and joints, to ease breathing, and as a cooling agent for the skin. * Basil has a warm,spicy, yet herbal aroma known to enhance memory function while reducing stress and tension. 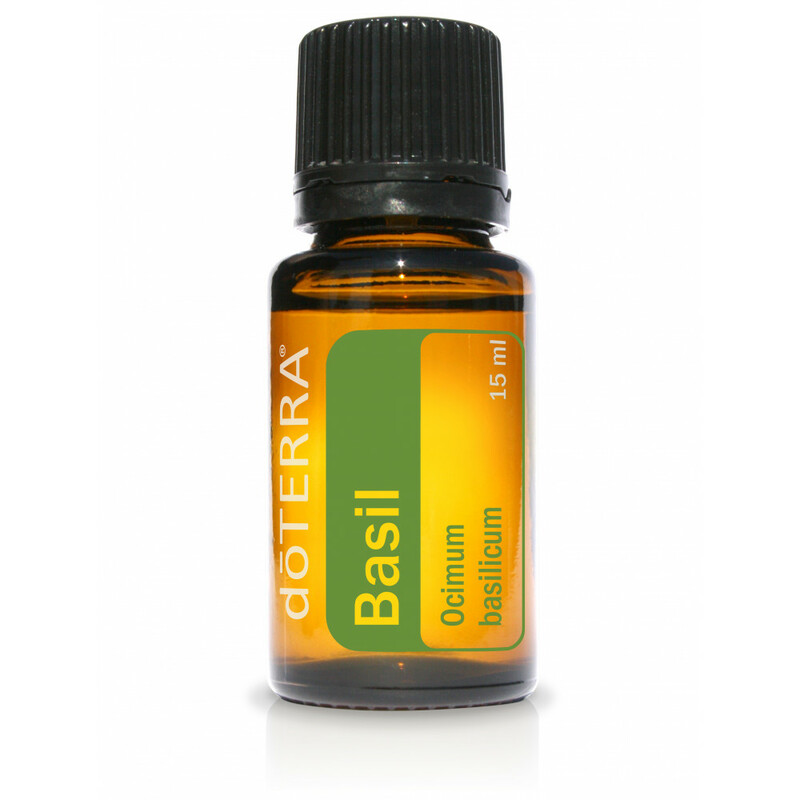 Basil provides restorative benefits to both the mind and body due to its high linalool content, making it an ideal application for sore muscles and joints and to reduce tension when applied to the temples and back of the neck. Basil is commonly used in cooking to add a fresh, herbal flavor to meats, pastas, and entrée dishes, but it is also cooling to the skin and can be used to soothe minor irritations. When diffused, Basil helps promote clear breathing and healthy respiratory function while sharpening focus and lessening stress. Apply to minor skin irritations. For sensitive skin,dilute with dōTERRA Fractionated Coconut Oil.